Cost is the first thing a homeowner asks about before renovating their kitchen. Sadly, IKEA cannot answer that really important question! But IKD can. Get our free ebook so you can get a quick and easy estimate for your IKEA kitchen design. Knowledge is power. You don’t have to learn the hard way about what IKEA can’t do for your kitchen. Download our free ebook instead and find out what you need to know before you start planning your IKEA kitchen. 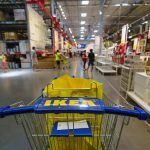 The annual IKEA kitchen sale can give you big savings on their kitchen cabinets, kitchen appliances, and more. If only IKEA would give more notice! But why wait for IKEA to have a sale if you don’t have to? Here’s how. Learn how to make 3 traditional Swedish receipies that you can try out in your IKEA kitchen with out easy-to-follow cookery ebook. And, No! We’re not going to tell you how to make Swedish Meat Balls. 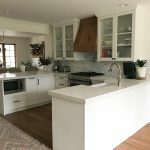 How and where do I use IKEA Kitchen Panels? IKEA sells only three panel types which are designed to be cut for many distinct uses. These panel configurations are not a part of IKEA’s Home Planner. IKEA’s Home Planner is a great conceptual tool to plan your kitchen; though it’s really more of an “app” used to fill in your kitchen with IKEA’s standard cabinet shapes. IKEA has limited cabinet widths as well as corner cabinet options. There are also limited cabinet choices for appliances and sinks with IKEA. Your professional kitchen design should not be limited by standard modules. With a little extra effort, you can modify and adjust standard cabinets into exactly what you need for your desired results. Kitchen cabinets may look like they are just cabinet boxes with doors and drawers, but there are several other items required to complete them if you choose to use the IKEA Home Planner. Many don’t show up in IKEA’s Home Planner’s images or on the material list.